Clay County, first called Clayton County, was established in 1873. Henry Clay was honored when Clayton County was changed to Clay County in 1875. Rector is named after former Governor Henry Massey Rector. Rector is also the hometown of World War II soldier and veteran, Sgt. Denver "Bull" Randleman who was a member of the famed Band of Brothers Easy Company, 101st Airborne, and was depicted in the Steven Spielberg mini-series with Tom Hanks. 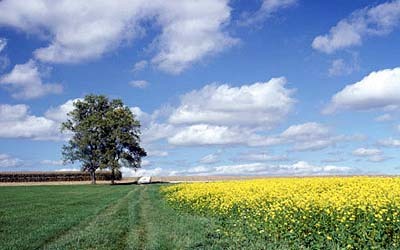 The mean daily maximum temperature is 73 degrees with a mean daily minimum temperature of 48 degrees. High temperatures average around 90 degrees in the summer and close to 50 degrees in winter. Annual precipitation throughout the state averages between 40-50 inches. Snowfall is not uncommon, but certainly not excessive in most years with an average snowfall around 5 inches. 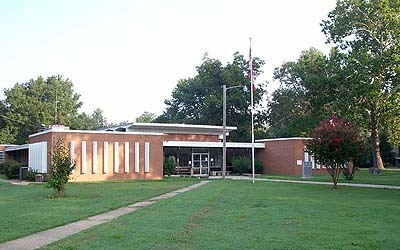 Public primary and middle schools include Rector Elementary School and Rector High School. Area colleges and universities include Arkansas State University, State University and several more in nearby Tennessee. Hospitals and medical centers near Rector include Piggott Community Hospital, Twin Rivers Regional Medical Center in Missouri and Arkansas Methodist Hospital. The Rector Labor Day Picnic is held during Labor Day weekend each year. The weekend features a rodeo, parade and other activities. The Clay County Fair is also a much-anticipated annual event. Amenities such as art galleries, professional theater, sporting events, restaurants, microbreweries and more can be found in the state's larger cities. Live entertainment can also be found at numerous music festivals and in clubs, bistros and performance theaters. The state's spas include the thermal waters of Hot Springs National Park. Across the state, delightful boutiques, specialty shops, antique stores and artisans' studios offer opportunities for finding one-of-a-kind souvenirs and treasures. The region offers plenty of hunting, fishing, boating and camping at Black River Crowley's Ridge State Park, Current River, Dave Donaldson/Black River Wildlife Management Area, Lake Ashbaugh, Mark Twain National Forest, Old Davidsonville State Park and St. Francis River. Arkansas fishing waters offer 9,700 miles of fishable streams and rivers, 600,000 acres of lakes, numerous bayous, creeks and sloughs. Big game hunting is also popular in Arkansas. The state has a herd of whitetail deer estimated at one million animals, plus black bear and elk. You can also enjoy a relaxed family float trip or the thrill of a whitewater or rock climbing adventure or journey one of 250 hiking trails that collectively stretch more than 1,500 miles. You can get away from it all in more than 2.9 million acres in 3 national forests!